Five companies have been awarded contracts by NASA that will fund research into ways of powering the Deep Space Gateway. A total of $2.4 million was awarded to Boeing, Lockheed Martin, Orbital ATK, Sierra Nevada Space Systems, and Space Systems Loral. The companies will investigate means of powering the gateway and propelling it around the Moon for the next four months. It’s expected that all five organizations will be looking at solutions that utilize solar electric propulsion. This works by converting solar power into electricity, which is then used to ionize atoms of a propellant like xenon, which is fired out of the engine via powerful magnetic field. NASA wants this propulsion module to be one of the first components of the Deep Space Gateway sent into orbit. Other elements will be sent up when they are needed, like the module that astronauts will call home as they inhabit the way station. Russia’s space agency is set to collaborate with NASA on the project. Roscosmos confirmed its intention to participate in September 2017, and it’s thought that the station’s docking system will be one of the projects spearheaded by the agency. In March 2017, President Trump issued a mandate for NASA to take a human crew to Mars by 2033. The Deep Space Gateway will be an important component of that long-term plan. NASA outlined a five-stage process for its mission to Mars, and we’re currently in the first stage. It’s comprised of making deals like this one with private space companies, and running tests on the International Space Station. Next, six SLS rockets will be launched in order to test their suitability as a means of delivering components of the Deep Space Gateway. In 2027, the Deep Space Transport tube will be sent into space, and after that astronauts will inhabit the station for over a year. 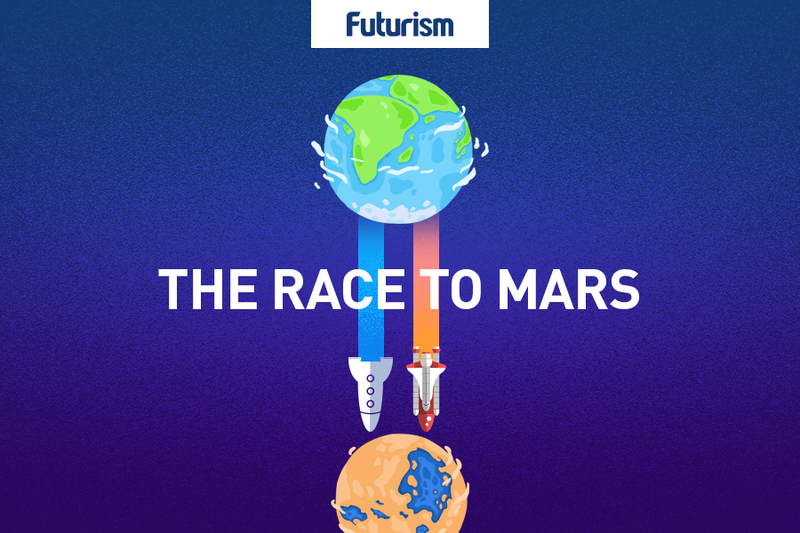 In 2030, another SLS rocket will ferry supplies and the crew for Mars mission, ahead of the final stage – the voyage to the red planet itself. It’s hoped that operating within the Moon’s orbit will provide the requisite knowledge for voyages into deep space. Mars is the end goal, but the Deep Space Gateway is argued to be a crucial stepping stone if those more ambitious plans are to be realized.